I’m Keith Houston. 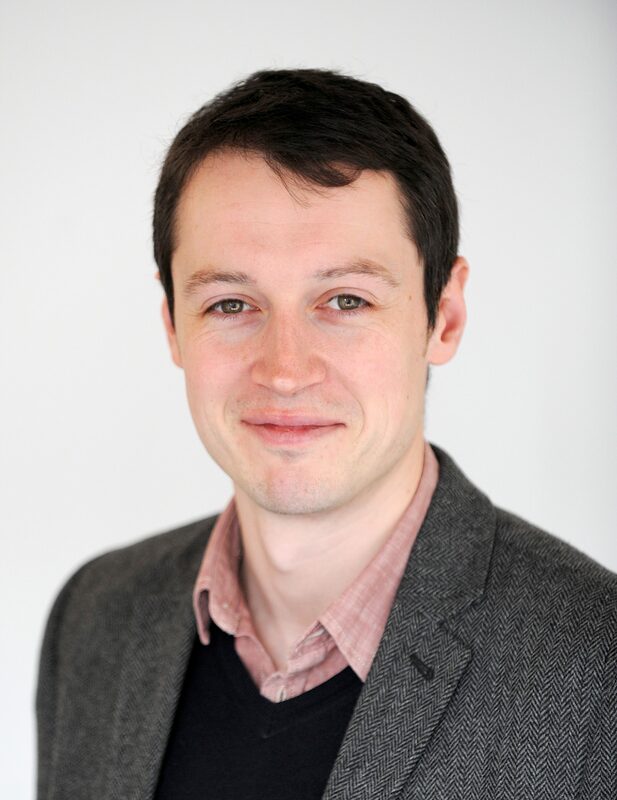 By day I write medical imaging software but by night I ride my bike, look after my son, and write about punctuation. You can say hi on Facebook, Twitter, Google+ or Goodreads, or get in touch via the Contact page. 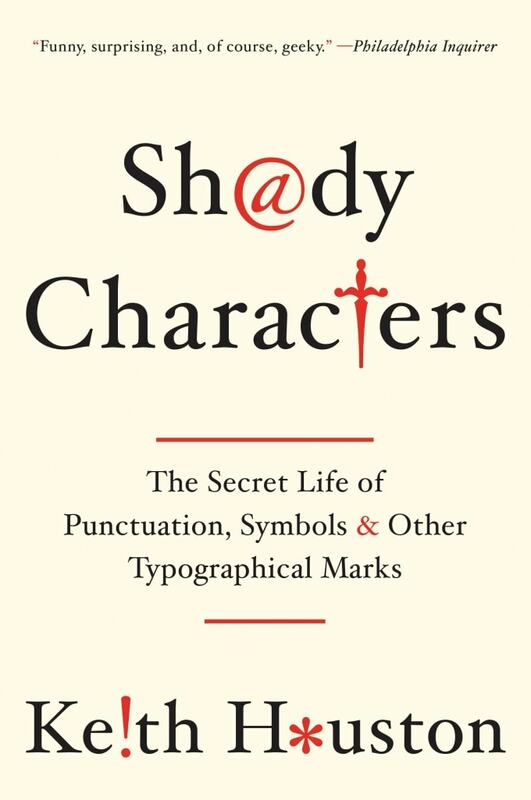 As I write in the Introduction, Shady Characters is all about the stories behind different marks of punctuation. I started writing on this subject back in 2008 at the suggestion of a friend and over the course of the next two years I finished rough essays on a variety of different marks; this site is here to let me polish things up and publish those essays to a wider audience. Also, and perhaps most importantly, it’s a way of giving something back to all the people who helped me unpick some obscure point of punctuation history or who pointed me in the right direction when it seemed I’d hit a dead end. Please note that I’m a complete amateur in the worlds of punctuation and typography; although I’ve done my best to verify everything here through references to other works, there are almost certainly errors and omissions that a professional would not have made. I’d encourage you to take a look through the Further Reading and the references which accompany each entry to get the whole story. The Colophon talks a little about the technology behind this site and the Licensing page sets out copyright. Thanks for taking the time to read this, and I hope you enjoy your visit! See also Help support Shady Characters . Fascinating and nicely written. Get an editor and a publisher and work a book deal. You know, in your spare time. Gorgeous type (what font is it? ), splendid writing, fascinating articles. Hi Jim — thanks! The font will depend on what you have installed on your computer, but Shady Characters will try to use, in order, one of the following: Hoefler Text, Constantia, Palatino, Palatino Linotype, Book Antiqua, Georgia or a generic serif font. The Colophon gives a bit more detail. I have to agree. Just my two cents on the typeface issue. Pleasure being here, Keith. Like many others awfully impressed by the neat and clean look. Great use of open spaces and the fonts stand out so well. Came here following Laurie Abkemeier’s tweet. Will visit frequently and follow your tweets. Just found this site. What a treat! Always have loved the ampersand, so great to learn the back story. Never seen anything like this before and am wondering where they came from (my guess is some form of Runen). jr@coastalcg.com told me this: “These are Norse runes that were adopted by the T.R. The traditional symbols which these replaced for birth and death were * and +. The T.R. extensively used Norse runes for emblems or symbols for some of its military divisions, and sometimes the same symbol was used for multiple divisions. Hi Lora — thanks for the comment. It’s interesting to see Norse runes used as punctuation in roman script, but it’s unfortunate that the context is so distasteful. It does rather discourage further investigation! Hello Keith. I’m very, very excited about finding your website. It’s a wonderful place to spend some time. Hi Michael — thanks! It’s been a pleasure to write, and I’m glad you’re enjoying reading it too. Ah , the pilcrow! A joy to see it’s return the the mainstream, well, sort of, but at least a recognition and some of it’s history. I was alerted to it by the great book designer Derek Birdsall and his typography for the Church of England’s more recent publications. It’s such a cheeky but tasteful little icon. I love it. Hi Denis — I recall reading John Morgan’s “Account of the making of Common Worship ”, and Derek Birdsall (and his pilcrows!) make an appearance in there. Ah yes, it was John Morgan who was assisting Derek Birdsall when they were designing my “Searching the Thames” book. A great team, both of them. 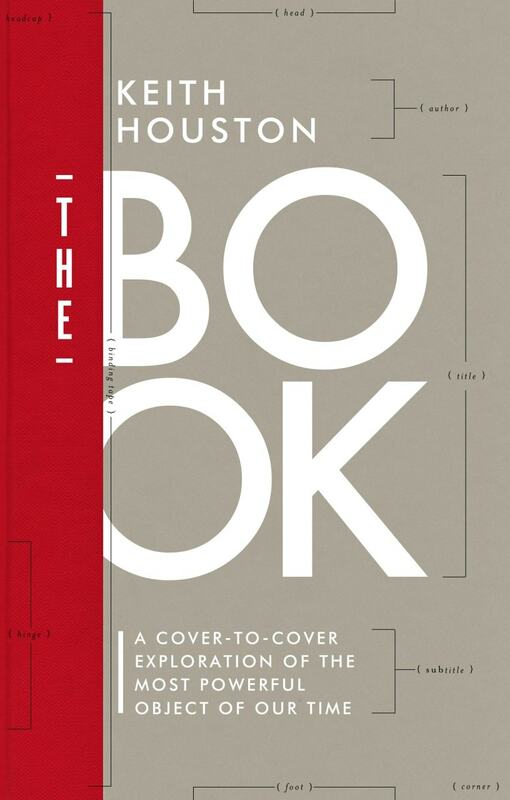 Have you seen Derek’s “Notes on Book Design”. It’s all good stuff. As is your beautifully designed “Shady Characters” book. It gives great joy. I’ll have to have a look for your book! Thanks for the kind words, and I’m glad you’re enjoying Shady Characters . As an expert in punctuation, I was wondering if you know why we use a colon in the salutation and a comma in the complimentary closing? I live in Canada and this is the standard punctuation we use in business letters. Who invented business letter punctuation? I’m afraid I haven’t looked into business letter punctuation at all, and so I can’t shed much light on your questions. This article suggests that we’ve been writing business letters in English since the 15th century, but unfortunately I don’t have access to the journal to read more. Sorry I can’t be of more help! Might a Google search on the subject may help get you started? Listened to ‘Word of Mouth’ today. Outstanding programme. Well done. Hugely interesting. We are currently listening to it again and will be purchasing the book. Happened on your website when ABEBOOKS and B&N websites were devoid of indicators for desired topic (below). Happy to find you. Background: I enjoy books on words/usage/derivation and punctuation, especially wittily written (aware of great reviews of your former book – it is on order – softcover signed volumes not in much demand). Old guy here – remember Linotype (*or equivalent) operators had-setting lead-based type for student publications for which I was editor. INQUIRY: Am also interested in author-signed first editions (preferably hard-copy when available) – especially on this preferred topic – but I cannot find a resource for signed 1st’s for “The Book”. Any resource suggestions would be appreciated (maybe an independent bookman near you?). Look forward to reading it! Hi Mark — thanks for getting in touch! Waterstones in Edinburgh’s West End may have some signed copies, or you might want to try emailing Emily Cary-Elwes at W. W. Norton, whose details are on the Contact page. Good luck in your search! This is a wonderful book, but terribly hard to find online. The one review I recall reading did not do it justice. Even the paper has a special, smooth feel, and the binding and raw-cardboard cover are unusual and appropriate. To me, it would be the perfect gift for a book lover, but it has gotten lost this holiday season. Be sure to read all the way to the end, even if you find there are sections where the material may be familiar. I hope it will turn up on special discount tables like the one at the LOC shop. The book deserves more attention than it is getting. Hi Gale — I’m glad you enjoyed The Book . I’d love to see more coverage online too, but there has been a respectable amount already — you can find links to some reviews here. Extraordinary work you’re doing! Many thanks from your newest fan. Thanks! Glad to be of help. As a Classicist, I was delighted to see the development of punctuation traced back to the Greeks and Romans. But what about in other cultures and scripts, e.g. the Arabic and Chinese? The interrobang: should it be written in longhand as ‘! ?’ or ‘?!’. I note that ‘digital catalogues’ prefer the former (your BOOK, p. 29). Does not bewilderment, however, sometimes precede incredulity? This was purely down to lack of time and lack of knowledge. Were I to write Shady Characters today, I’d definitely take a broader view. If I have to type a “deconstructed” interrobang, I tend to prefer “! ?”, but to each their own. Required fields are marked *. Your email address will not be published. If you prefer to contact me privately, please see the Contact page. Leave a blank line for a new paragraph. You may use these HTML tags and attributes: <a href="" title=""> <abbr title=""> <acronym title=""> <b> <blockquote cite=""> <cite> <code> <del datetime=""> <em> <i> <q cite=""> <s> <strike> <strong>. Learn how your com­ment data is pro­cessed.